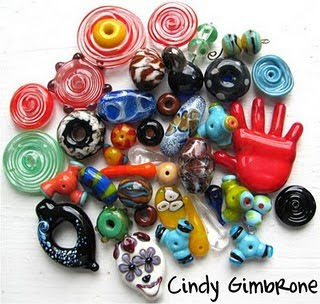 I'm just popping in to let you know that The Lampwork Diva, Cindy Gimbrone just realized that she's been blogging for FIVE WHOLE YEARS! As such, she's hosting a giveaway of some fantastic beads to mark the occasion. Hop on over there soon, because your chance to enter ends Monday, September 20th! !